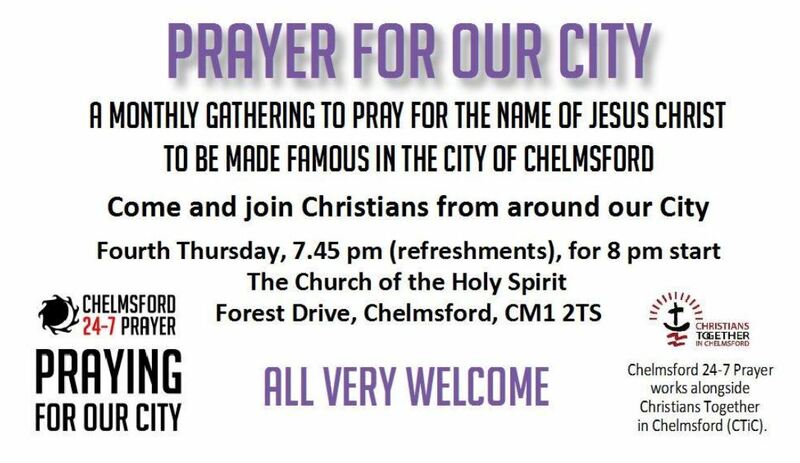 Led by Chelmsford 24-7 Prayer and in partnership with CTiC an informal monthly gathering on the 4th Thursday to pray for our City. Everyone is very welcome. Refreshments at 7.45, for 8pm.